Is SIBO the culprit to your digestive problems? Here is what you need to know. 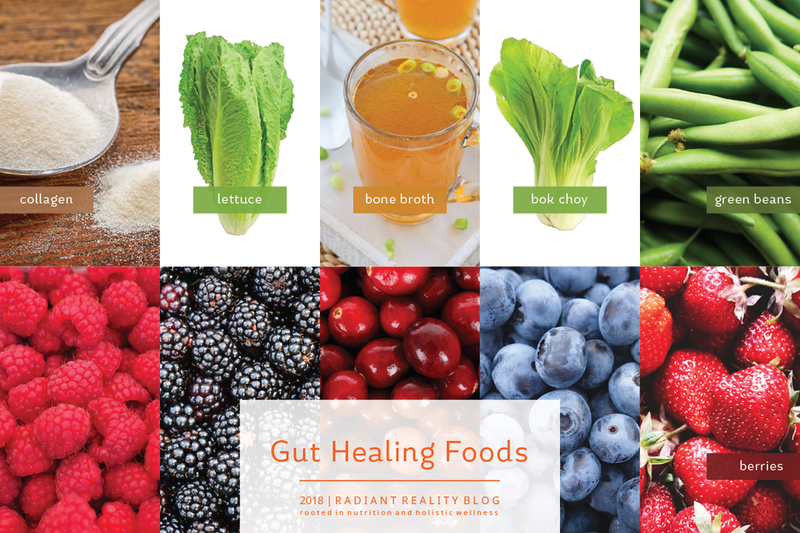 - Radiant Reality | Nutrition. Healing Arts. Inspired Living. Well... you are essentially a living breathing ecosystem and the health of your gut will determine the health of your entire body. Gut health is not a new concept, but SIBO is relatively new discovery in the space of functional medicine and nutrition. This is due in part to the advances in GI testing. Within the past 5 years many people are now being easily diagnosed using SIBO breath tests. The fact of the matter is that SIBO or small intestinal bacterial overgrowth is an extremely common occurrence. Most people are living and dealing with SIBO on a daily basis, some are symptomatic and some are not. SIBO is the acronym for small intestinal bacterial overgrowth. While diverse bacterial strains are a necessary part of a healthy gut, the location of the bacteria determine the health of the individual. Most “beneficial” bacteria should be found in the large intestine and colon, not in the small intestine. However, the small intestine is the largest part of the digestive tract where most of the digestion and absorption of nutrients take place. SIBO interrupts digestion and prohibits proper absorption of nutrients such as Vitamin A and D, iron and other fat-soluble vitamins. SIBO also can cause bloating, gas, abdominal pain, skin issues such as rosacea and eczema, weight loss, unexplained fatigue, aches and pains, and other chronic conditions that can be misdiagnosed as IBS. There are a number of factors that can cause SIBO. The small intestine has a “cleaning action wave” that is called the MMC or migrating motor complex. This wave moves bacteria and debree down into the large intestine in between meals and during fasting at night. If the migrating motor complex gets jammed from illness or chronic imbalances, it can create an environment that encourages the growth of SIBO. This can happen if the individual has gi infections, high histamine levels, eats too frequently, has diabetes, hypothyroidism, heavy metal toxicity, insufficient stomach acid, etc. The truth is that SIBO is a common condition that can cause overlapping symptoms with many other gastrointestinal disorders. Curently, SIBO is commonly diagnosed using either an endoscopy or a breath test. The endoscopy with a culture is invasive and expensive. A breath test measures both hydrogen and methane gas that is produced from the anaerobic bacteria in the small intestine.While there are actually three different types of SIBO, the current testing can only analyze two of the forms of bacteria. If SIBO is found, there are a few common methods for treating it. In most cases antibiotics, probiotics, or antibacterial herbs will be used to reduce the small intestinal bacteria. A low fodmap diet is also recommended to pulse in both throughout the duration of SIBO treatment and after. Healing the small intestine and restoring vagal tone is a process that takes time and patience. Its important to remember that correcting SIBO overgrowth is not something that happens overnight... or even in a matter of weeks. It generally can take up to a year and can require multiple protocols to help correct and then maintain the rebalanced bacterial load. This nerve is responsible for the tone of your migrating motor complex. To stimulate the vagus nerve you can implement strategies such as gargling, singing loudly and gagging to strengthen your vagus nerve. SIBO compromises digestive function. Using apple cider vinegar and digestive enzymes can help to further break down food and reduce SIBO symptoms. Foods that are helpful for restoring balance in the small intestine include: bone broth, collagen, low starch vegetables like lettuce, green beans and bok choy as well as berries. While the SIBO diet is initially limited, other foods can typically be reintroduced after a course of a treatment protocol. The use of spore based and soil based probiotics are generally safe to use with SIBO. Studies have shown they may help to eliminate SIBO by secreting antimicrobial peptides in the gut while providing the gut with beneficial organisms. Make sure to check with your health care provider as not all probiotics are created equally when it comes to SIBO. Some probiotics will actually feed the SIBO and make the problem worse. From the viewpoint of eastern medicine, energetically it important to support your small intestine meridian with acupuncture and also to receive neuro lymphatic massage to encourage the detoxification process. From an energetic perspective, SIBO can be viewed as a teacher. 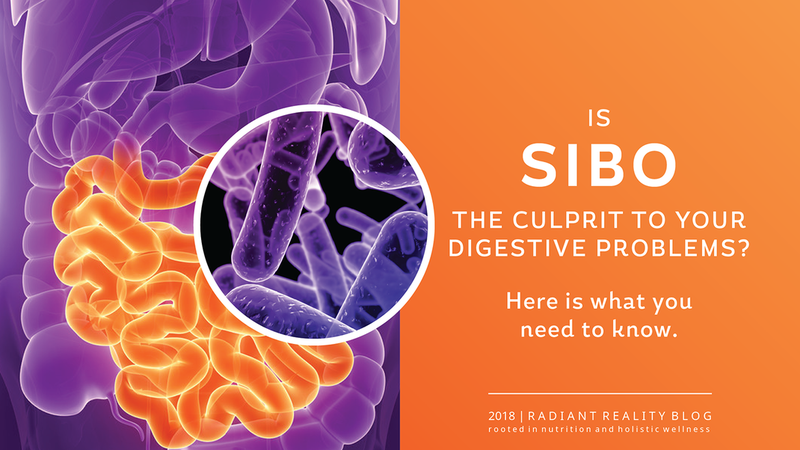 If you embrace a SIBO infection as a catalyst for positive change, you will likely make health gains more rapidly than if you think of this as a curse. I tend to ask the question, "What are you trying to teach me"? Wishing you a wonderful new year and a radiant reality. SIBO, IBS and autoimmune disease are all easily cured doing GAPS protocol. Thanks for your message. I find that GAPS can be helpful for some people short term, however there can be pitfalls when GAPS is the only thing implemented. I have found that GAPS while useful for shorter time frames can lead to some health issues down the line for others such as ammonia issues, insulin resistance, fatty liver issues, salicylate and amine intolerances. Its best to work with a practitioner so that you are educated when working to eradicate SIBO.